Recently we chose the wood direction, focusing on the materialization of time, the structure and patterns of the annual rings. We did some research, mostly on the internet. 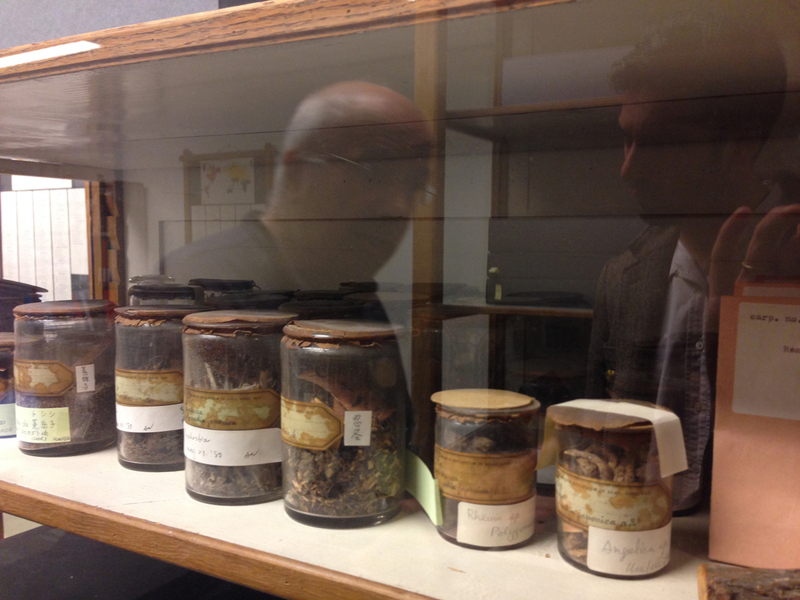 To double check the facts about wood and get more detailed information we made an appointment with Prof. Dr. Pieter Baas, wood anatomist, tree specialist at Naturalis and former scientific director of the National Herbarium of The Netherlands. 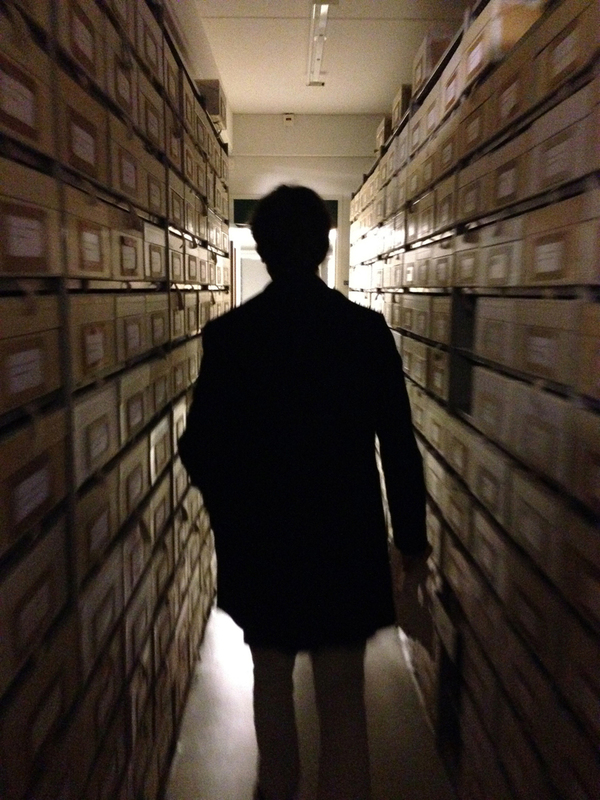 He gave us a tour through the impressive wood collection archives containing about 120.000 (!) 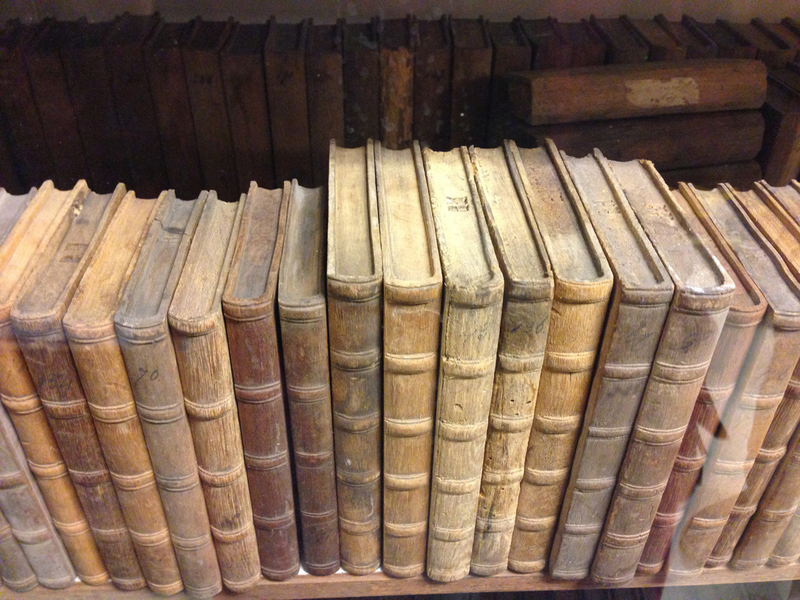 different samples of wood types, from all over the world. 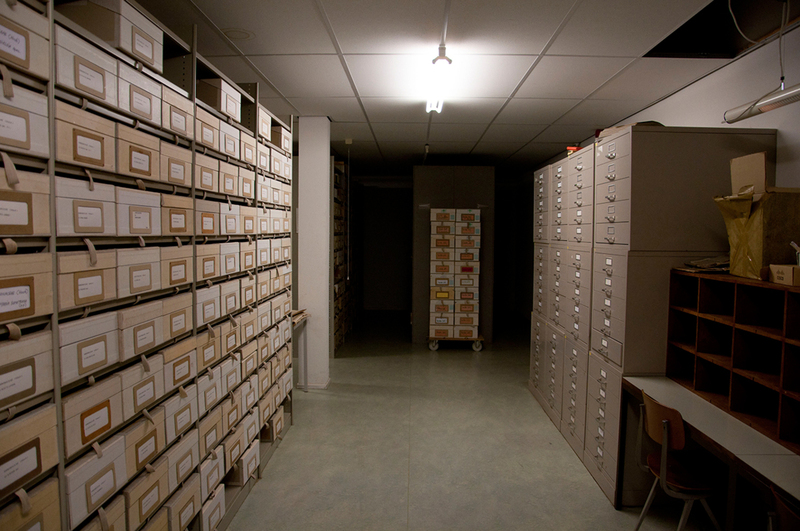 It is one of the biggest archives of wood in the world, in close second place after the one in Wisconsin (USA). 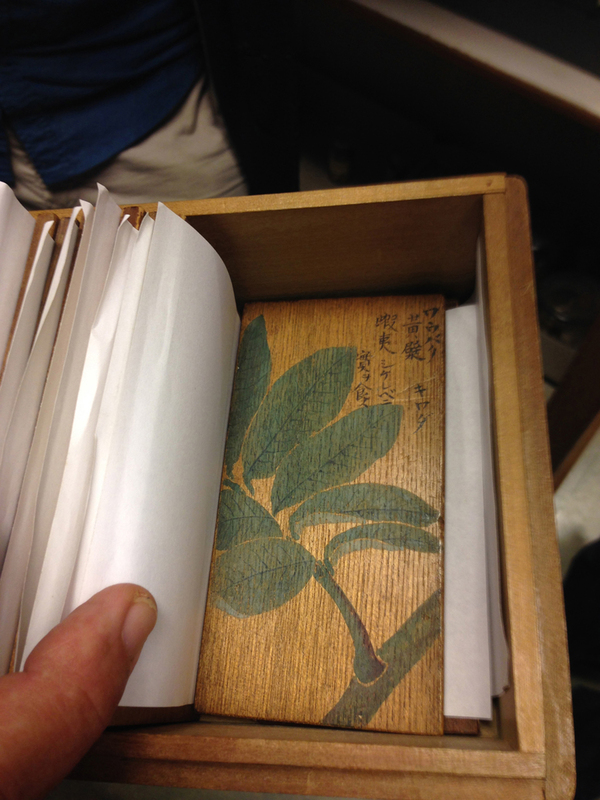 Wood samples from Hokkaido (North Japan) with the leaves of the tree painted on them by Mogami Tokunai, a Japanese scholar who donated this collection to his friend Von Siebold, the great Japan explorer in the service of the Dutch Government on the Dutch trading post of Deshima in the harbour of Nagasaki in the 1820s. 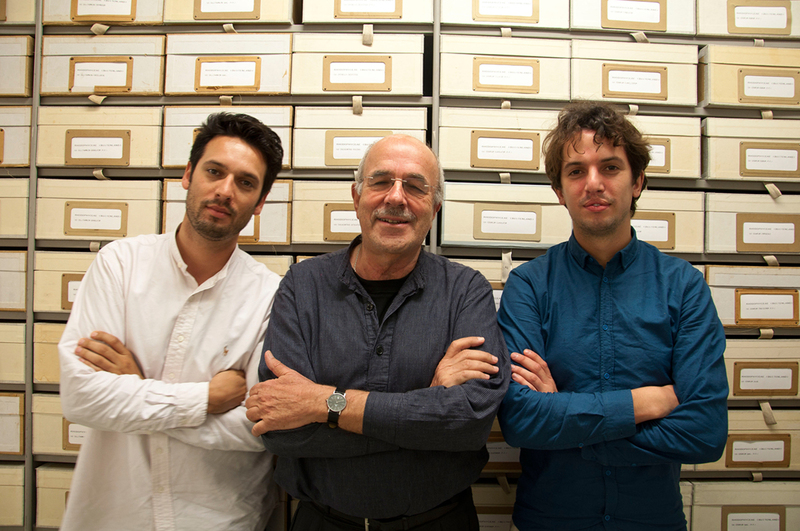 When we told Pieter about our research so far and facts we stumbled upon he immediately corrected us. Until now we had misunderstood the nature of soft and hard zones in annual rings. Soft earlywood is formed during spring, and hard latewood is formed in summer and early autumn. 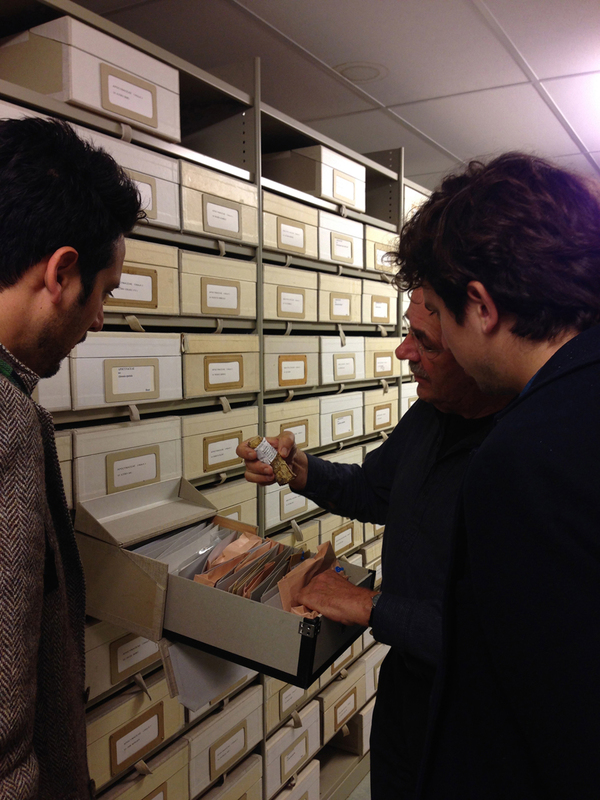 He explained to us that the conditions of a specific site have influence on the structure/pattern of the annual rings. If you have the same type of tree species on both sides of a mountain, the chance is big the patterns of the trees are different, because the conditions on each side of the mountain vary. 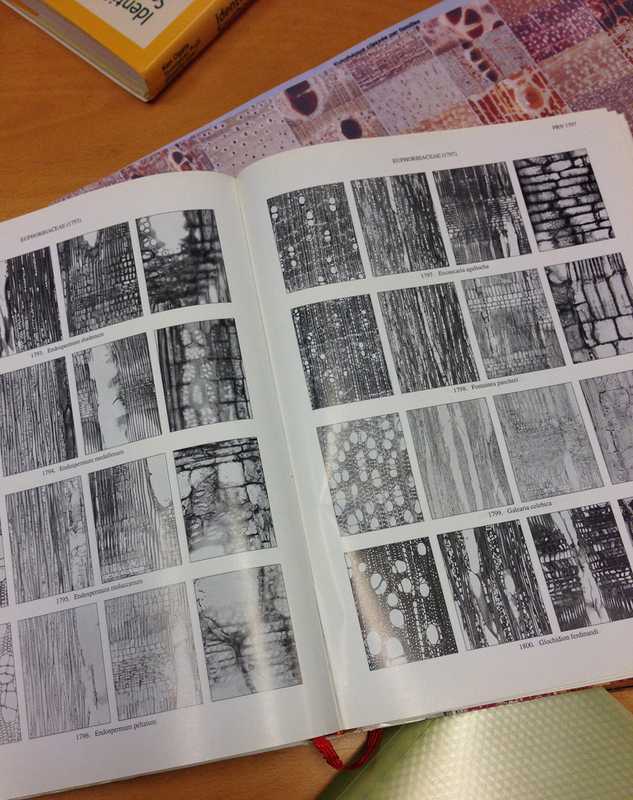 When looking at the tree rings you can trace back the history of a tree. 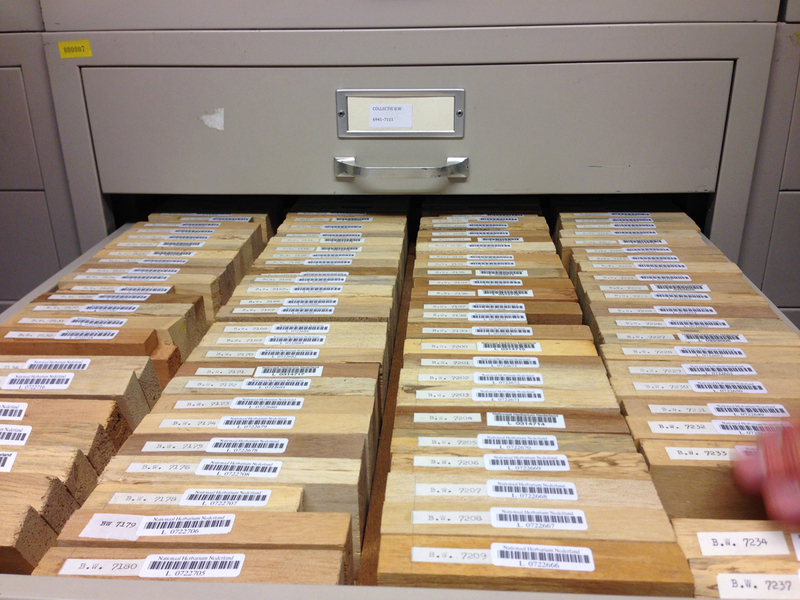 Comparing them with climate period tables you can even find their years of origin. 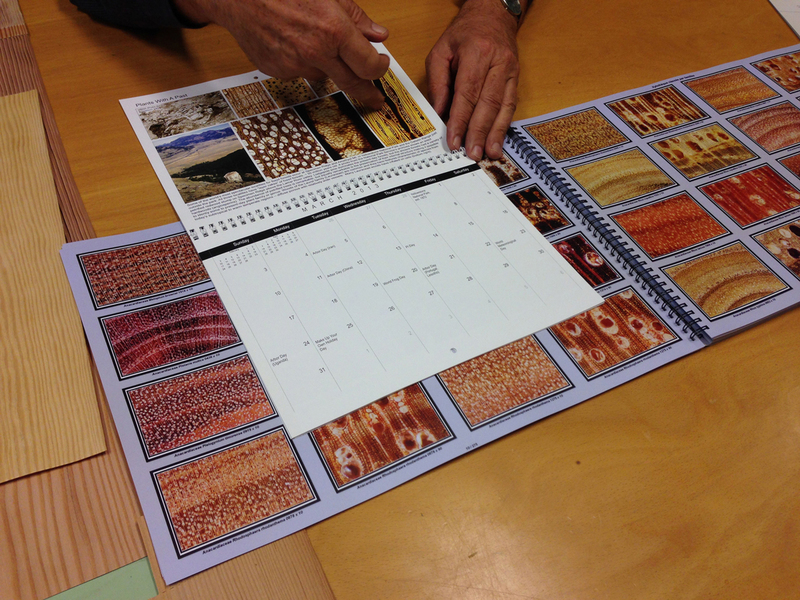 It is even possible to use the sequence of individual ring widths – which are a consequence of weather variables that are unique for each year, to accurately date wood (for instance of oak panels used by Rembrandt for his paintings). 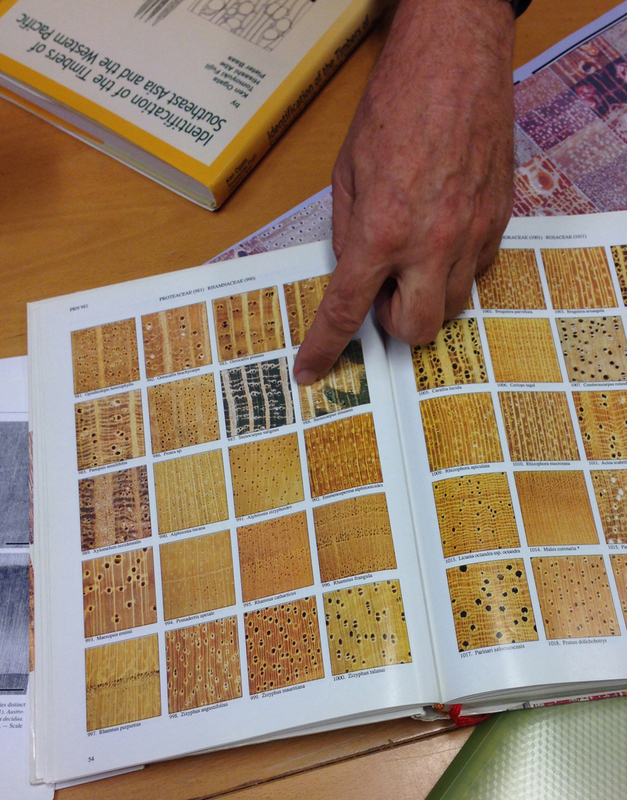 Pieter showed us documents and books about the whole regulation system of trees, also zooming into microscopical levels. Images appear with fascinating patterns. What triggered us in our research up till now is the fact that the two different parts of the annual rings vary in hardness (light & soft earlywood and hard & dark latewood). 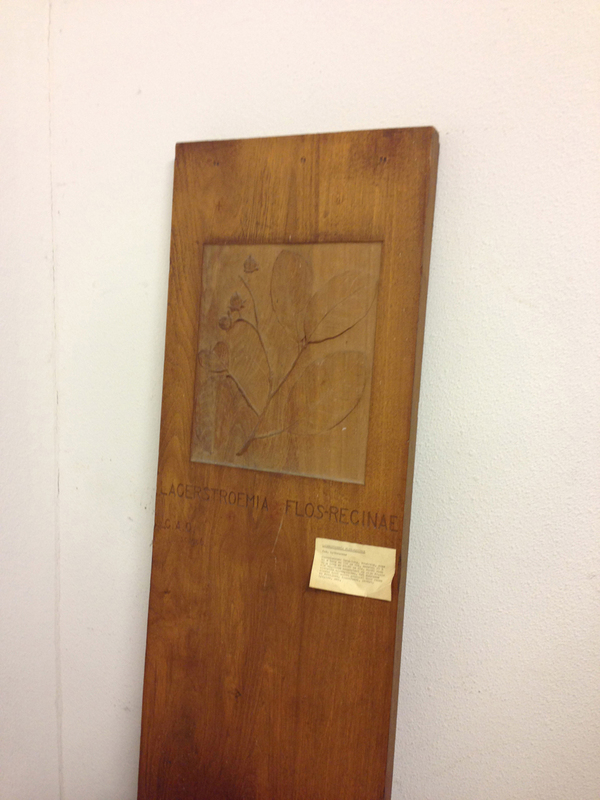 We are thinking of removing the softer ones to open up the material and therewith tell the story behind the material. 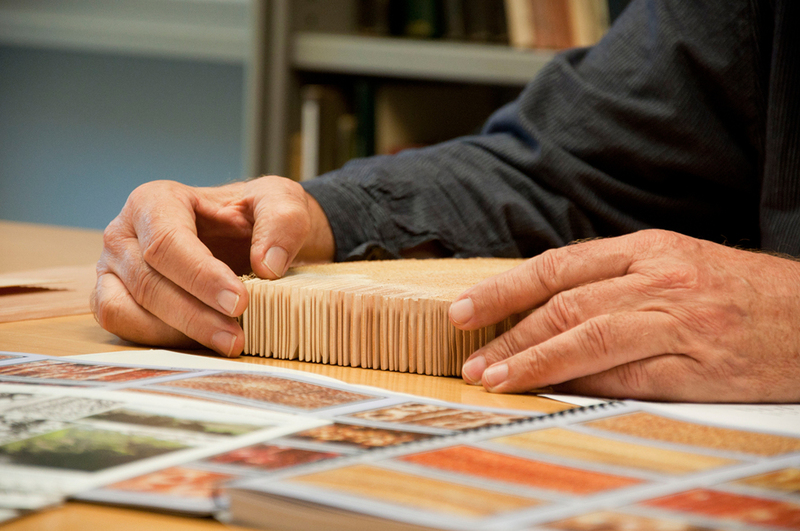 Pieter told us, as we also experienced ourselves, that the choice for the right wood is essential. In a lot of tree species the contrast between the lighter earlywood zones and the darker latewood (formed in summer) is not always that strong. Often the transition between earlywood and latewood is gradual.